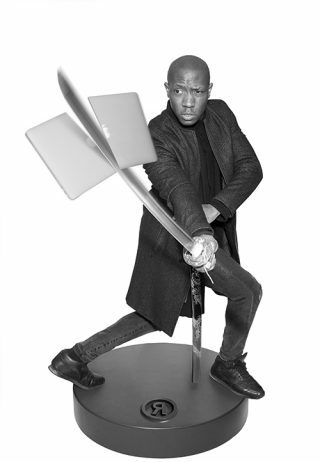 Dosh – half art director, half man, all in-house samurai. Born in Lagos, Nigeria, it’s fair to say he was destined to be a great art director right from the start. When he’s not breaking blocks with his head, he’s cracking briefs with his…well, also his head. Dosh got bored of walking across hot coal everyday, so he decided to put his threshold for pain to the test and enter the advertising industry. Prior to joining Rethink he was slaying creative for the likes of Lowe Roche and Grip Limited, working on brands such as Honda, RBC, Unilever, Warner Bros., and Coca-Cola.